Hi! I'm Katy, a sewing obsessed momma and wife from the hills of West Virginia. 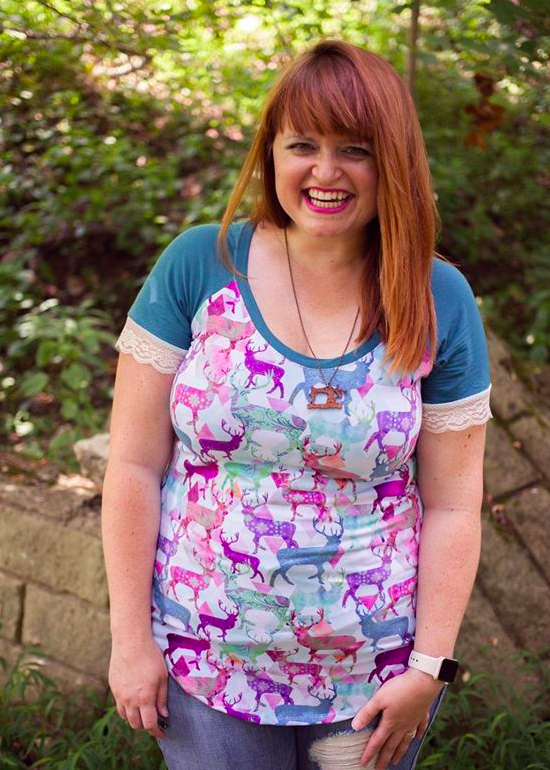 Most of the time, my online presence can be found at my sewing/family/creative/anything-goes blog Wild & Wanderful and I also am one of the crew members over at Patterns for Pirates. When I'm not hoarding fabrics, drinking way too much iced coffee, and avoiding household chores...I can also be found in my home-based studio, where I operate a small handmade business (Thread & Grain) alongside my curly-haired husband. Creating, and helping/encouraging others to create, is a huge part of our lives. That, and porch-sitting with some Moscow Mules and craft beers. Most of the time, we are doing all of those things at the same time. Good luck Katy! I always love what you make for your son and I can't wait to see your projects. Thanks girl! I'm excited to see so many boy moms on here, representing! It'll be fun to watch this season! I know this is all about kids, but I've been going through the designer bios again this morning, and can I just say, I want your shirt?!? Sooo cute!